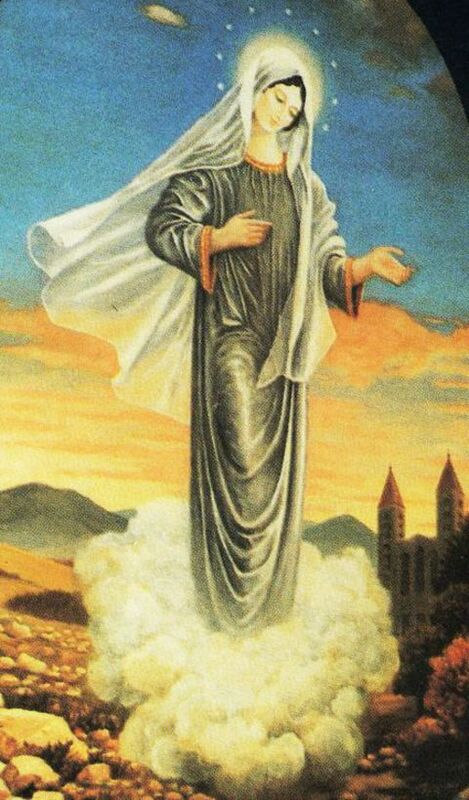 Queen of Peace, Medjugorje, Bosnia-Herzegovina, 1981-present. 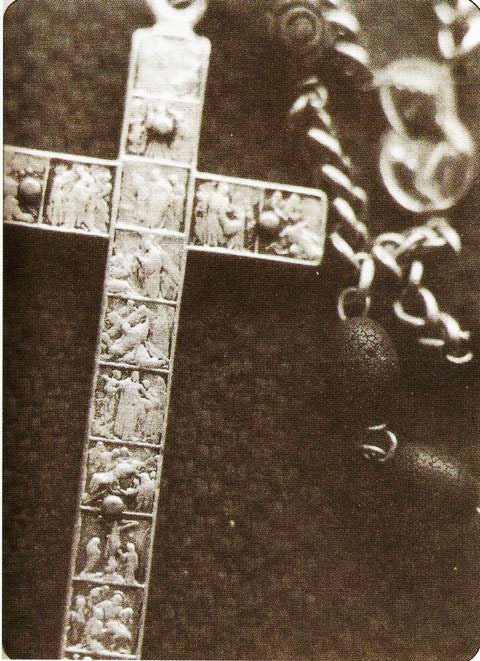 The expensive, carved Rosary cross given by Blessed Mary to Vicka’s family BEFORE the apparitions began. At the time, nobody took him very seriously, but just two years after his death, Our Blessed Mary began making her appearances in Medjugorje. True to his predictions, so many thousands of pilgrims prayed and sang songs through the night on Crnica, making it difficult to sleep. Hotels, large stores, and other big buildings developed over the next thirty years – accommodating the estimated 50 million pilgrims from many nations who have visited this holy place and experienced wondrous things. Several other things happened prior to Mary’s first appearance. When the new St. James Church was completed in 1969, none of the local people could quite understand why it had been built so much larger than what this little village would ever need. 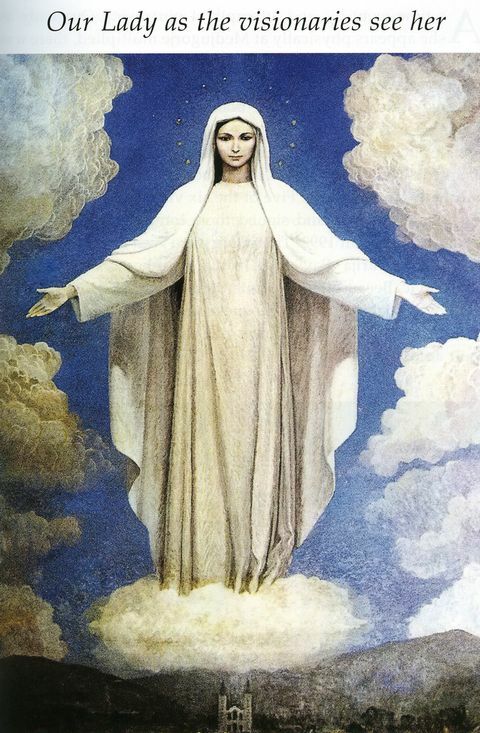 Vlado Falak finished a painting in 1974 that hangs in the church choir loft – depicting the Virgin Mary appearing in the skies over Krizevac Hill. And Mary appeared there just 7 years later. Just two months before the first apparition, Franjo, the youngest brother of Vicka Ivankovic (one of the visionaries) was preparing to take the family’s little tractor and trailer out to collect wood at 6:00 a.m. one morning. As he was gathering tools to place in the trailer, he discovered two sets of Rosary beads lying in the back of the trailer. One had a beautifully carved crucifix in ivory, depicting the scenes of all 14 Stations of the Cross. Franjo took them to his mother and grandmother, joking with them that this must be a sign from Mary, suggesting that “you need to pray more!” Nobody in the village claimed the beads or had ever seen them before. The final prophetic event occurred at the beginning of June, 1981 – just weeks before the first apparition. Father Tomislav Vlasic, a Franciscan priest from the Medjugorje region, had been feeling depressed and rather hopeless about the future of the church. He had recently resigned from his own Franciscan council, saying, “No one can do anything about the problems of the Church. All we can do is pray.” He decided to attend the International Leader’s Conference of the Catholic Charismatic Renewal in Rome for inspiration. Attended by around 700 participants from around the world, he asked to be prayed over for the healing of the Church. 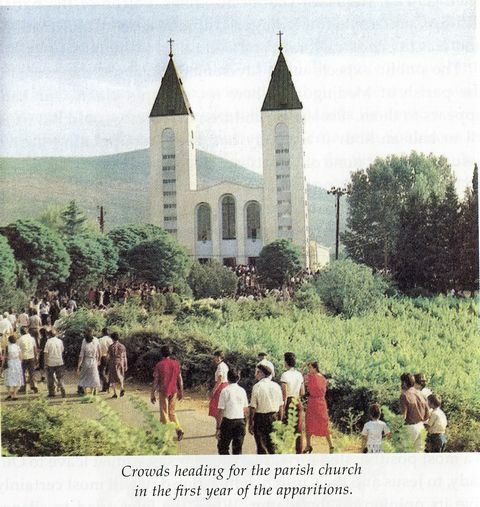 Several months later in August of 1981, Father Tomislav Vlasic was transferred to Medjugorje – and immediately recognized the twin steeples of the church in the mountains as those described in Sister McKenna’s vision! He remained there through 1984, helping out through those amazing first several years. The apparitions began on Wednesday, June 24, 1981 – Feast Day of John the Baptist. The day began with a violent thunderstorm and driving rains. But by late morning, all traces of the storm were gone, and the stifling June heat had returned. As the quiet evening approached, two close friends, Ivanka Ivankovic (15) and Mirjana Dragicevic (16), were walking between villages along a country road toward the slopes of Crnica. Ivanka was still grieving the sudden death of her mother, Jagoda, from just over a month before. Mirjana was a blonde-headed, street-wise teen from Sarajevo, who was visiting her relatives in Medjugorje for the summer. Some report that they were smoking cigarettes and listening to rock music as they walked along. When Ivanka glanced up the slope of Crnica Hill, she saw something white or gray standing in the distance. “Look – the Gospa (Croatian word for Virgin Mary).” Mirjana studied her friend’s face, assuming that her grief must be causing such a vision, and said, dismissively, “Why would the Gospa be likely to appear to us?” They continued walking along with Ivanka occasionally looking up, trying to catch another glimpse of the strange figure on the rugged hillside. Milka Pavlovic (13) ran into them and asked for their help to bring her sheep down from the slopes of Crnica. They agreed to help, but Ivanka could not contain herself and begged the other two to return to the spot in the road where she saw the vision on the hillside. They agreed and returned to the spot where they had an unrestricted view of the slopes of Crnica. Ivanka pointed up the hill with excitement – “The Gospa!” Milka and Mirjana both saw the figure now, too. About a thousand feet up the slope they saw a beautiful young woman holding a baby. Despite the distance they saw everything in very precise detail: a beautiful, graceful, young girl of about 18, silver-gray long dress, white veil, dark brown hair, dark eyelashes, and a crown of twelve stars. She held a child in her arms which she covered and uncovered with her veil. The long dress covered her feet, and she stood on a small, vaporous cloud, which seemed to hover slightly above the ground. Another friend, Vicka Ivankovic (16) came along the road at this point, thinking that they must be watching some animal or snake on the hillside. But when she saw the apparition, she became overwhelmed with awe and fled, leaving her sandals behind in her haste to leave. Further down the road she sat down to rest on a boulder and burst into tears. Two neighboring young men, Ivan Dragicevic (16) and Ivan Ivankovic (20) came along the road at this time and offered Vicka an apple from their bag. She blurted out her tale of what she had seen and begged them to accompany her back to the other three girls. The boys agreed to check it out with her, but when 16 year-old Ivan saw the mysterious sight, he turned, dropped his bag of apples, and ran home! They sensed that Mary was beckoning them to come closer, but nobody was brave enough to do so — and so eventually they left when it started to rain. 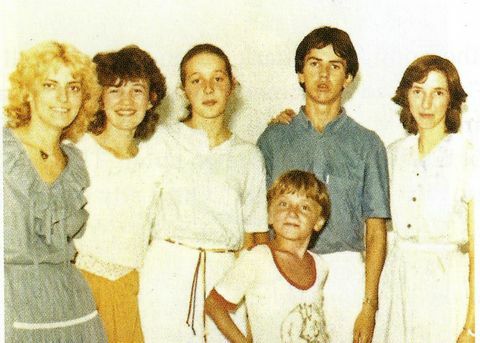 The next day, June 25, 1981, four of the kids (Ivanka, Mirjana, Ivan(16), and Vicka) decided they must investigate more closely. Both Milka and Ivan(20) could not return as they had other obligations. But Milka’s older sister, Marija Pavlovic (16) and friend Jakov Colo (10) asked if they could be included if Mary should appear again. The first four kids returned to the foot of Crnica Hill at the same time of the evening – and after three flashes of light, they immediately saw the apparition again. Excitedly, Vicka ran back to get Marija and Jakov, and now all six of these kids became filled with joy – not fear — at seeing her. The other kids described it as if they were flying up the rugged hillside. Those who were watching from below were astonished at the speed of the children’s ascent and did not even try to follow them (usually takes 15-20 minutes to climb – not two minutes!). Now the six children were kneeling in front of the beautiful, shining Madonna with her slightly curly black hair, light blue eyes, rosy cheeks, slender build, and coffee-colored gown with a veil covering her head and flowing down over her body as she stood on a little cloud. Very little was said. Ivanka was finally the first to speak. 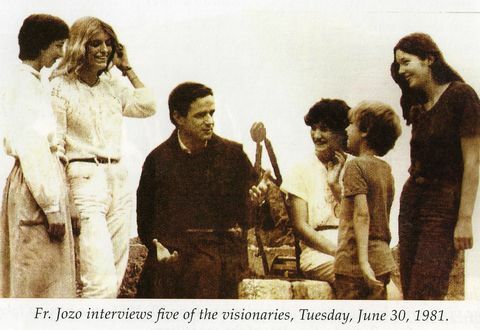 Supportive priest, Father Jozo, meets with the six children in 1981. The next morning the government authorities from nearby Citluk had the police interrogate the children, but they stood firm in their claims. A police psychiatrist could not detect any mental issues. A few protective adults cordoned off an area to give the visionaries the space they needed for Mary to appear. The Virgin did not vanish after they did so. The children would focus on the same spot and each would be in conversation with her, separate from the others. Their mouths moved to form words but without audible sound to the onlookers. Here is their summary of this fourth apparition on Saturday, June 27th. 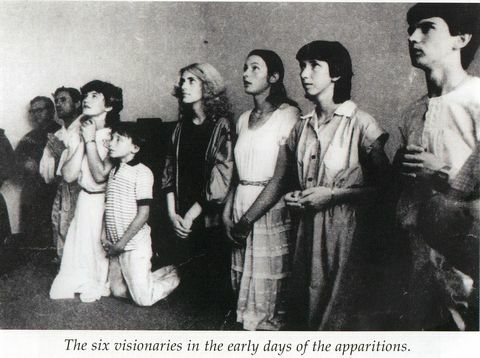 The six visionaries are entranced by Blessed Mary’s visits. On the fifth day of visitations, Sunday, June 28, some 15,000 people had gathered to watch. Blessed Mary appeared promptly at 6:30 p.m. again while the crowd was singing. Blessed Mary: “Both – pray and sing. Vicka: “What do you wish from the crowd which has gathered here? The visionaries’ movements are constantly in precise unison. (Mary gives her a loving look, a smile, and vanishes for a few minutes. The children prayed and sang a song, and she reappeared. 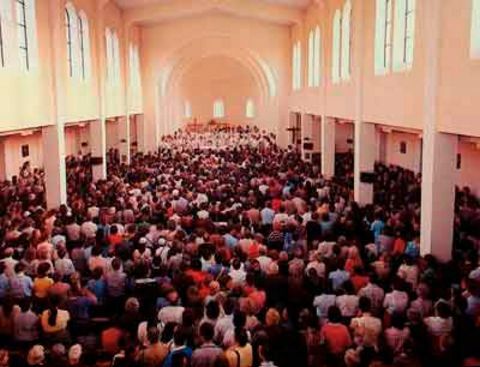 Attendance peaks at the St. James parish in Medjugorje. Blessed Mary: “That you have a solid faith and maintain confidence. Full-capacity crowds hope to see the visionaries in ecstasy. A local doctor from Citluk, Dr. Darinka Glamuzina, was sent by the authorities to observe the children. She came forward and asked the children if she could touch “this heavenly person” that they claimed to be seeing. “Dear Gospa, is little Daniel going to speak some day? Cure him so that they all will believe us. These people love you very much, dear Gospa. Blessed Mary: “Have them believe strongly and pray for his cure. Little Daniel could neither hear nor speak, and he walked with a limp. Although the parents were disappointed that there was no instant cure given to their son, they did as the Virgin had asked and prayed fervently and continuously on their long trip home. Later that evening, the family stopped at a small restaurant for dinner. As they discussed the day’s events at Medjugorje, little Daniel grabbed a cup and banged it on the table, exclaiming in a loud voice, “Momma, I want milk!” Several months later, Daniel could hear and speak just fine. Soon, he was running and playing with other boys. Now in his late thirties, he is completely healthy. Vicka, Jakov, Ivanka, Mirjana, Marija, and Ivan in ecstasy. On Tuesday, June 30, two social workers (from the government) took the children on a long day of treats and sightseeing, deliberately away from the site of the apparitions. As the rendezvous time of 6:30 p.m. approached, the children demanded to be let out of the car. They were on the opposite side of Crnica Hill while thousands of people awaited their arrival on the other hillside. A light began to illuminate the area where the crowds had gathered but then started moving toward the children who were several miles away. Ivanka asked the social workers if they saw the light – and they did. The children knelt and Mary appeared to them. They asked if she was upset that they were not at the regular location, and she indicated that it did not make a difference. Then they asked Mary if she had any objection to meeting in the church, instead, from this time on. After some thought, she said that she would not mind at all. Father Jozo Zovko, the parish priest, had respectfully listened to the children’s encounters and asked them many questions, but he was cautious to jump to any conclusion. What convinced him that these apparitions were genuine was his own experience on Wednesday, July 1. Father Jozo was able to end the police pursuits by invoking an existing law that prevented the interrogation of minors without parental consent. Father Jozo was privileged to share in a “silent apparition” with the children (in the choir loft) on one evening that summer at 6:30 p.m. in which “he saw her and was stupefied.” This solidified his belief beyond any doubt. In mid-July, Our Lady asked the children to meet her on the hillside at 11:00 p.m.; the children also invited thirty of their closest followers. One of the adults saw the sky opening up and a great, intense light coming toward them. Everyone exclaimed that they could see this light. Then a globe of light came out of the old wooden cross at this site and burst into thousands of bright stars – causing some children to panic and scream. Marija cried out, “Be calm. Our Lady is with us.” Everyone knelt and prayed for 40 solemn minutes. 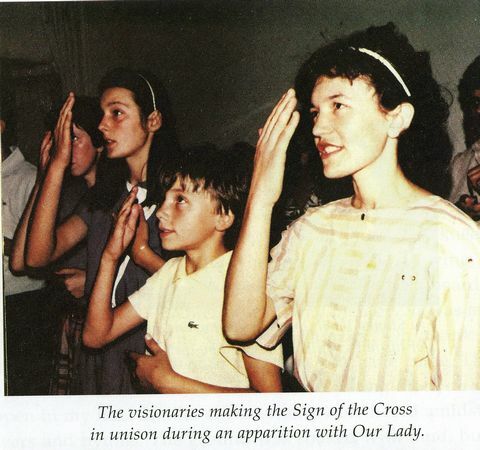 Then the visionaries declared, “Our Lady is looking at all of you and telling you that those who would like to touch her may do so.” The children led the others to her, but if they stepped on her veil, she would disappear momentarily. Those that touched her described a “numbing of the hands.” If a sinner touched her, her dress would turn darker, and if too many sinners touched her dress, it would turn black and she would disappear. Marija insisted that people needed to “come clean” and go to confession. The next day there were long lines for confessions at the church! After August 12, the apparitions began appearing in the church parish, by the road, or in private homes on a daily basis. Mary spoke simple messages of reconciliation in a voice that “was like a bell that rings softly.” She said, “Prayer and fasting can prevent even war.” Impressively, almost everybody began attending the 3-hour long Masses at St. James church. Father Jozo preached passionate and inspired messages during those days. But the government authorities ordered him to stop these church services. His refusal to cease and his loyalty to the children led to his arrest on August 17, 1981. The Virgin reassured the children that she would watch over Father Jozo in prison. And there were indeed signs of her supernatural presence: Prisoners and guards claimed they could see a glowing aura around the priest. The guards would turn off all the lights in his prison cell – yet his cell was always strangely illuminated by a supernatural light! The guards would lock his cell door, but it would always open as they started to walk away. No matter how hard they tried, they could never keep his cell door locked. Frightened and shaken, the guards quit trying. When Vicka asked Blessed Mary about this, she told the children on August 30 that she had been responsible for those tricks! He was finally released 18 months later. 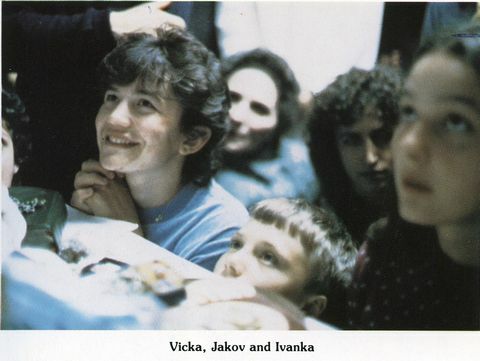 Vicka, Jakov, and Ivanka gaze at the Blessed Mother above. 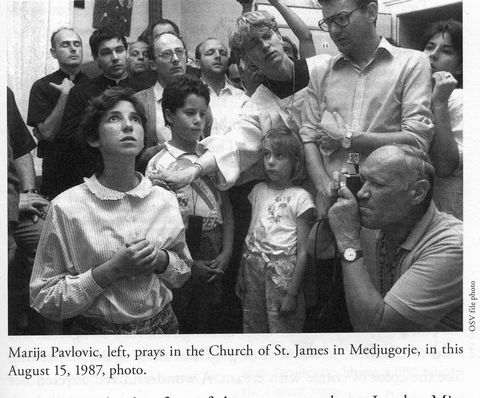 A few days later, a hastily-assembled, anti-Medjugorje group of 12 priests came from Rome and threatened the bishop. If he continued his support for Medjugorje, they would “chase him out of the diocese.” Bishop Zanic cringed at such a prospect. Father Jozo was dumbfounded that he could go against what he knew was truth in his heart just to keep his position as bishop. Therefore, to save himself, the bishop immediately denounced the apparitions as false, claiming the visionaries were lying, and that the Franciscan priests were manipulating them and making up the messages—all as a grand scheme to make money and gain power for their order. He maintained this position for 12 years until his retirement in 1993! Did the children feel betrayed, angry, or depressed about this? Apparently, they kept their emotions in check and maintained appropriate reverent respect for the bishop. Led by Marija, they went to visit him around 1985 and joyfully sang “Happy Birthday” to him when he answered the door. Marija reassured him that they were not “trying to soften him up” as he proposed but simply sharing their love and respect for him. Father Ratko Peric became bishop upon Zanic’s retirement in 1993, and things only got worse. Bishop Peric immediately took a negative stance toward the apparitions – simply because Bishop Peric does not believe in ANY apparitions of the Virgin Mary, past or present, including Fatima, Lourdes, and Guadalupe! Bishop Peric never conducted a personal or official investigation, and he never has talked with any of the visionaries! Because the local bishop is the first important step in any approval process, Medjugorje seemed doomed for any legitimate approval. But we shall see, later on, how the Vatican cleverly removed that decision-making power away from this biased bishop in an unprecedented move in 2009 in order to finally allow a fair assessment of the miraculous happenings in Medjugorje. 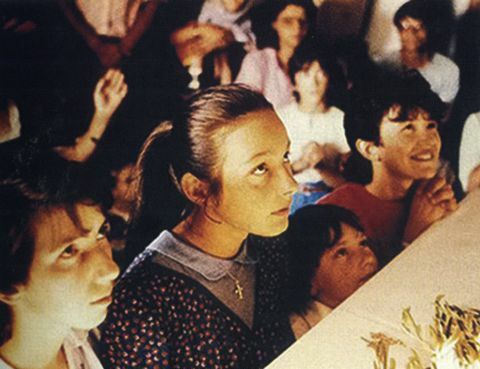 None of the children had known about the earlier apparitions at Lourdes, Fatima, or anywhere else in the world when all of this began for them in Medjugorje – until one of the priests showed them a book much later on Lourdes. Marija, Ivanka, Jakov, and Vicka watch the Virgin above. The children were not dreaming this, nor were they just given visions. They were physically absent from Jakov’s house for exactly twenty minutes. Jakov’s mother saw them in the home right before they departed. When she couldn’t find them a moment later, she frantically searched everywhere for them, inside and outside of the house for twenty minutes. She was becoming very fearful when they suddenly reappeared within the home, telling her where Blessed Mary had just taken them. 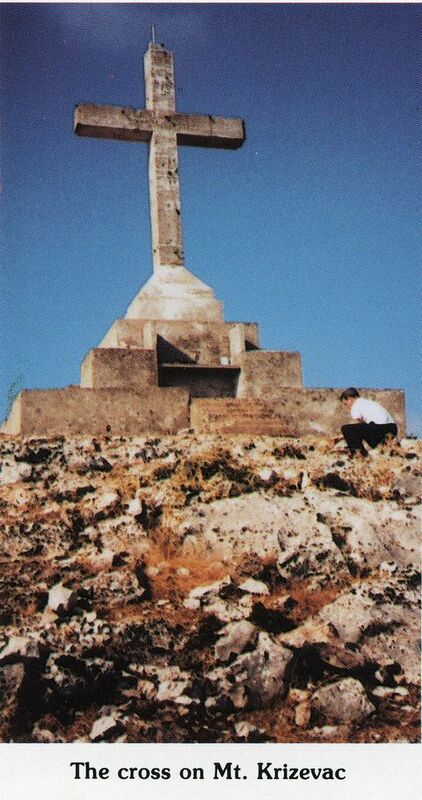 The 30-foot cement cross on Cross Mountain that spun and vanished. In 1982, she told the six children that she would give each of them ten secrets, gradually released over time — and they would not see her as often. The credibility of the six visionaries has remained intact over the years. They have never contradicted themselves in relating messages of the Blessed Mary. They have been subjected periodically to every type of medical and scientific examination available. The following comments were the conclusions of seventeen renowned scientists, doctors, psychiatrists, and theologians from their long and detailed research on January 14, 1986 in Paina near Milan, Italy. The apparition of the Queen of Peace as described by the children. Within one-fifth of a second, they simultaneously knelt and looked precisely at the same spot in the air without any visible reference point when the Virgin Mary appeared to them. All eye movements ceased in a time period lasting from 3 minutes up to 45 minutes. Nobody blinked in response to any eye being touched. They did not react to any pain they were subjected to – including an algometer which causes lesions or skin burns. There was a complete absence of sensitivity. 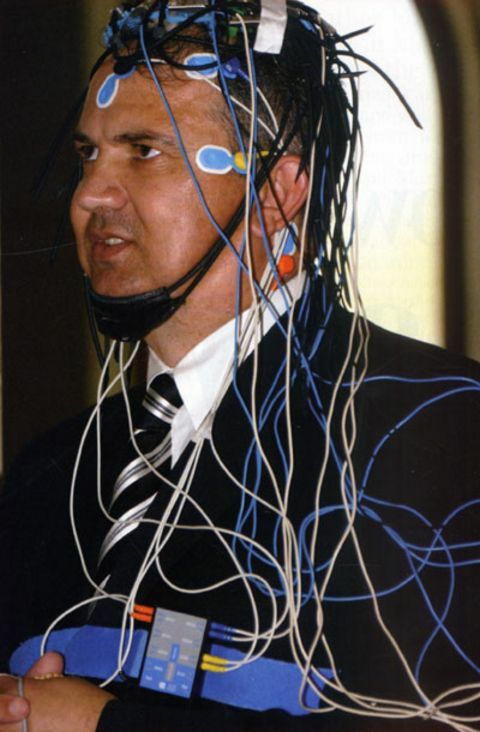 They showed no reaction to a hearing test – an input of 90 decibels (equal to a loud explosion) in their ears. They did not blink when a 1000-watt light bulb was placed in front of their eyes. Their regular voices stopped during the vision – yet all muscles of the mouth, jaw, and throat that are involved in speech continued, but the larynx (voice box) was shut off. This is physically impossible. During Bosnia’s bloody war, the conflict came to within five miles of Medjugorje. All the surrounding villages were destroyed by the enemy and most of their people massacred. 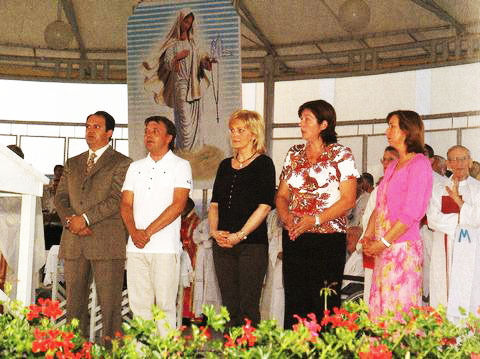 But Medjugorje seemed protected – as if in a safe bubble from all evil, maintaining a tranquil, peaceful atmosphere. Even when bombs were directed at the village, they would explode safely high in the air or lie unexploded in nearby fields. Finally, on a clear, blue-sky morning, two Russian-made MIG fighter jets approached Medjugorje to destroy it. On this cloudless morning, a dense fog suddenly appeared, mysteriously covering the entire town and obstructing their vision. They were unable to drop their bombs, and for some reason, one of the jets went down, killing the pilot. The other jet returned safely to base. Apparently, the surviving pilot was so unnerved by the bizarre incident that he defected from his military unit. The peacefulness of Medjugorje continues to only be disturbed by the church bells ringing and roosters crowing! On August 2, 1981, (Feast of Our Lady, Queen of Angels) a series of celestial displays began and have continued to the present day. Just like at Fatima in 1917, the sun was seen to spin on its own axis just before sunset. Witnessed by 150 people that day, they could stare at the sun without hurting their eyes. It seemed to come toward those who were watching it and then recede back to its position in the sky. As it came closer, great darkness appeared behind it. The reaction of the 150 witnesses varied from praying to crying to panic and running away. After fifteen minutes, it ceased spinning as a white cloud was seen coming down over the mountain and toward the sun. A large number of people also saw numerous globes of different colors moving around the sun, while others claimed they saw Our Lady, the Sacred Heart, a great number of angels with trumpets coming out of the dimmer sun. Others also saw a large heart with six smaller hearts beneath it (the Virgin and the six children?). Father Umberto Loncar, a Franciscan priest, describes the supernatural events of August 3rd and 4th. 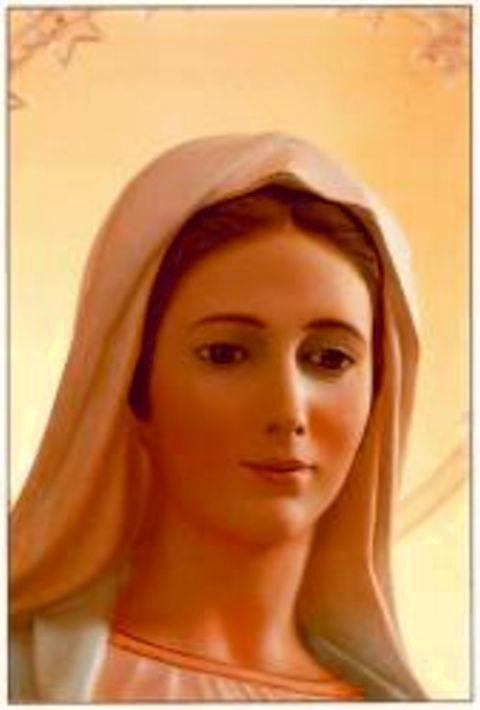 The beautiful face of the Queen of Peace in Medjugorje. Father Janko Bubalo described his moving experience as well. The visionaries are carefully tested by scientists and medical experts. The area responded with great enthusiasm; close to 40,000 followers came for Mary’s birthday. The children stated that Our Lady appeared “more brilliant than ever,” glowing, very happy, and very pleased with the widespread response to her request for prayer and fasting. “Pray, pray – never stop praying!” Around 7:00 a.m. that morning, a number of people reported seeing Blessed Mary on Mount Krizevac for 15 minutes. Her hands were uplifted, and she turned slowly, dressed in brilliant white. Somewhere around this time, the huge concrete cross was seen spinning for about one minute. Two American women reported that many pilgrims saw the “sun spinning furiously” and not hurting their eyes at all. Mary’s birthday was truly a spiritual celebration in many ways! The most remarkable healing comes with the story of Colleen Willard from Chicago, Illinois in September of 2003. Besides having an inoperable brain tumor which threatened to end her life, Colleen had 15 other major ailments – like critical adrenal insufficiency and Hashimoto’s thyroiditis. No airline wanted to accept the responsibility of flying her to Medjugorje. She was so weak from her infirmities that she could barely talk and hold her head upright. 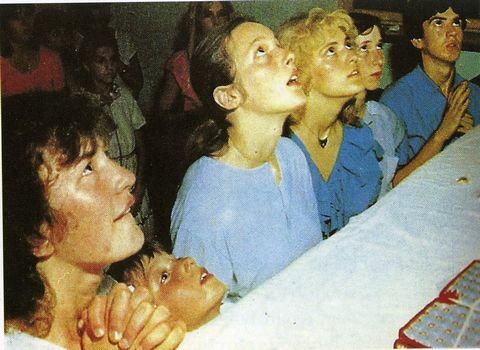 Medical clearance was somehow, miraculously obtained, and she accompanied the tour group to Vicka’s house upon arriving in Medjugorje. It was so crowded there that the jostling, pushing, and tight quarters became a dangerous situation for this frail woman in her wheelchair. Just being touched could cause searing pain; a bang to her head could kill her. Her head dropped, and the tour leader was fearful that she had died. But her husband pushed his way to give her some medicine, and she revived. Vicka saw what was happening while she was talking. When she finished, Vicka pushed her way through the crowd and pulled Colleen from her wheelchair into a loving embrace. Placing her left hand on Colleen’s head, Vicka prayed over her. Colleen agreed and began to feel her legs tingle. As she received the Eucharist, she could feel the heat and pain leaving her body. To the shock of everyone, Colleen stood up and left her wheelchair. After Mass, she was soon laughing and moving about freely. Everyone had tears of joy. That night Colleen danced with her husband in the joyous celebration that ensued. The next day, Colleen climbed Mount Krizevac without any trouble! Upon returning home to Chicago, she stunned the medical personnel of her doctor’s office with her healthy, vibrant presence. After his trip there, the Vatican approved a new three-year, 17-member commission on March 17, 2010 to study Medjugorje, supposedly wrapping up its findings in 2013. On September 23, 2010, Cardinal Schonborn hosted visionaries Ivan and Marija at his cathedral in Vienna. With thousands of people in attendance and getting to ask questions of the seers for an hour, this high-ranking Vatican official was certainly giving informal acceptance for these events. Blessed Mary came to them in the cathedral for the children’s daily apparition. Pope John Paul II had unwavering informal support and belief in the apparitions, making numerous positive statements on many occasions. He was even quoted as saying that if he were no longer a pope, he would be in Medjugorje hearing confessions! Scientific testing reveals amazing and unique results not seen before. 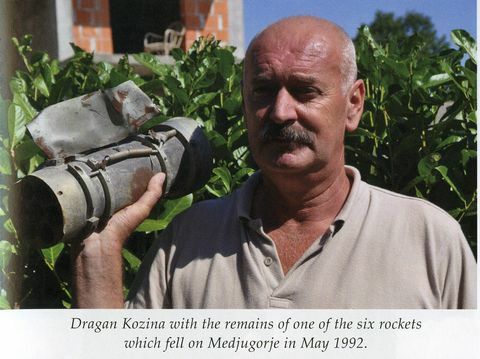 Bombs fail to harm Medjugorje — often lying unexploded on the ground. Many years later, Ivan and several visionaries continue to allow testing. Five visionaries return for a 25th anniversary event. 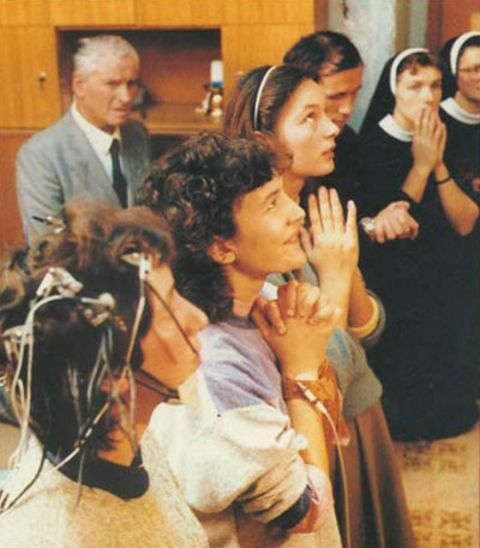 Meanwhile, the miracles, healings, and blessings continue for many of the 50 million visitors who travel to Medjugorje. Some see the sun dance in the sky; many see statues that weep, and a number have had their rosary beads turn to gold. So what happened to those six children as they grew up? What about the ten secrets that they were to receive? Vicka was asked by the Virgin to accept special sufferings so that she could accomplish special intentions for others. Vicka experienced a deep coma for 40 days, several periods of total blindness for also 40 days each, and strict fasting. Vicka gladly helped Mary with these amazing requests, never losing her happy smile. Between January of 1983 and April of 1985, Our Lady recounted her life story to Vicka in great detail (filling three notebooks) – to be published at a later date when Mary says that it is time to do so. Today, Vicka assists many pilgrims in Medjugorje every day with “healing prayers.” She married in 2002 and has two children. Ivanka receives an annual apparition on every June 25. Her mission is to “pray for families.” She married in 1986, has three children, and still lives in Medjugorje. Jakov experienced daily apparitions until he received his tenth secret in 1998; now he just has an annual apparition on Christmas every year. His mission is to “promote prayer and fasting.” He married in 1993, has three children, and remains in Medjugorje. 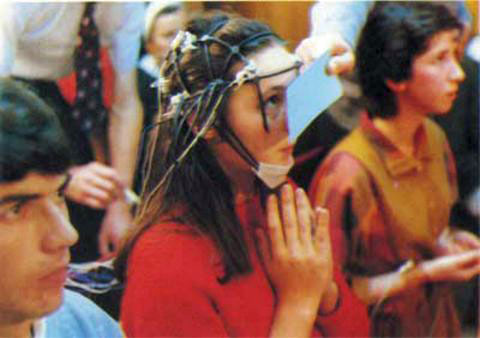 Mirjana’s regular apparitions ceased early on with her obtaining the tenth secret on December 25, 1982. She was to only have an annual visual apparition every March 18, but a monthly locution that began on the 2nd of every month, starting in August of 1987, became a full visual apparition after ten years – and continues, regularly, to the present day. Her mission is to “pray for the unbelievers.” She married in 1989, has two daughters, and remains in Medjugorje. Marija initially received a weekly apparition in the parish church every Thursday from March 1, 1984 until January 8, 1987. After that, she routinely receives an apparition on the 25th of every month – and still does today. Her mission is to “pray for the souls in Purgatory.” She married an Italian in 1993, has four children, and lives both in Italy and in Medjugorje. Her humble and sincere attitude still impresses everyone that she meets. Mirjana today, one of several still receiving regular messages. So what are these ten secrets? In the early months of the apparitions, Blessed Mary presented a strange parchment to Mirjana that contained all ten secrets written in an unknown language. The parchment was neither cloth nor paper, but of a material “unknown” on earth. It could be balled and wrinkled but not torn. As of this date, only Mirjana, Ivanka, and Jakov have been given all ten secrets, including the day and date of each. Mirjana was to select a priest, Father Petar Ljubicic, who is to be given the parchment ten days before the first secret is to be revealed. He will only be able to read the first one. After seven days of fasting and prayer and three days before the event, he must announce it to the world in whatever means he chooses. Secrets #4-6: Virtually nothing is known about these three secrets. Secret #7: This was to be the first of three chastisements to begin changing the world. However, Blessed Mary tells us now that the efforts of prayer, fasting, and penance by so many who are trying to follow her messages, have greatly reduced or eliminated this chastisement! Secret #8: This is another chastisement for mankind – one that frightened Mirjana when she learned of it on November 6, 1982. She begged Mother Mary to lessen its intensity. Secret #9: Another severe chastisement; prayer and fasting could lessen it. “It will begin on a bitterly cold winter night in the Northern hemisphere. The wind will howl and roar with lightning and thunderbolts of an unprecedented magnitude will strike the earth. The whole earth will shake. The moon and the stars will be disturbed and not be seen in a normal way. Then, every demon, every spirit will be released from hell and allowed to roam the earth. Terrifying apparitions will take place. Many will die from sheer fright. Fire will rain forth from the sky; all large cities will be destroyed and poisonous gases will fill the air. Cries and lamentations will be heard everywhere. The unbelievers will burn in the open like withered grass. The entire earth will be afflicted; it will look like a huge graveyard. We are to go indoors, lock all doors and windows, pull down the blinds, and stick adhesive paper on vents and around windows and doors. We are not to answer calls and pleas from outside – which sound like our relatives, our children, and our friends – even though the temptation will be overwhelming to respond. In order to protect ourselves, we are to light blessed wax candles, which can be obtained by asking a priest to bless any wax candle. Nothing else will burn, but the candles will not be extinguished once lit. Nothing will put them out in the houses of the faithful, but they will not burn in the houses of the godless. Second, we should sprinkle holy water about the house and especially near doors and windows. The devils fear holy water. We are to bless ourselves with it and anoint our five senses with it – eyes, ears, nose, mouth, hands, feet, and forehead.